A new episode, entitled Recon, airs tonight at 9/8c on ABC. Locke tasks Sawyer with a mission. It was written by Elizabeth Sarnoff/Jim Galasso and directed by Jack Bender. 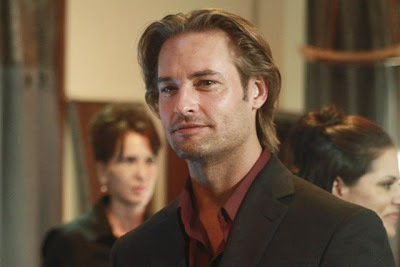 It will be nice to see a Sawyer episode since he hasn't had much to do this season. Love the promo too, which uses Leonard Cohen's 'Bird On The Wire'.